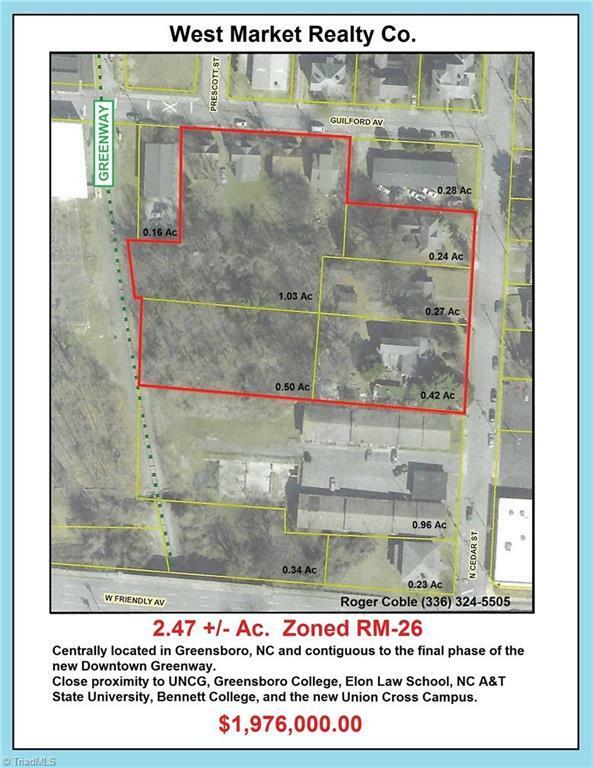 2.47 Ac, Zoned RM-26, Centrally located in Greensboro, NC and Contiguous to the final phase of the Downtown Greenway. In close proximity to UNCG, Greensboro College, Elon Law School, NC A&T State University, Bennett College, and the New Union Cross Campus. Courtesy of West Market Realty Co.